‘Music can change the world because it can change people’. Well, it had already changed my commute, so I thought this was surely a good place to start. In studies, music has proved to have an emotional and physical impact on the listener, for example 30 minutes relaxing music has been shown to reduce blood pressure, and in some cases music can lower various forms of chronic pain and even reduce depression by up to 25 percent. For me, music has always been a part of my life. 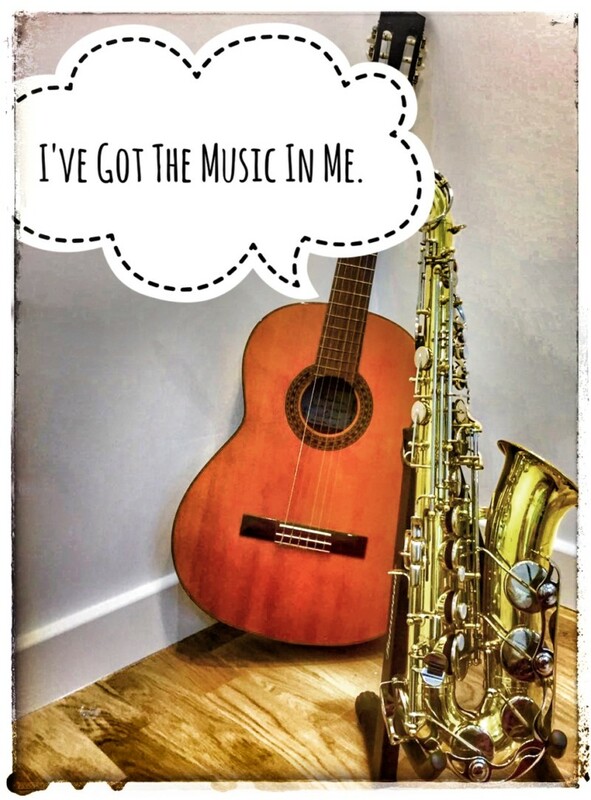 I started playing the piano at four, the alto saxophone at 11, the flute at 15 and, since moving to London three years ago, have taught myself to play the guitar. There isn’t a day that goes by where I don’t listen to a song or a piece of music. The phrase, “silence is deafening”, springs to mind when I think about how much I listen (although look out for our future blog on the benefits of silence too!). When I am low, there are only three things that I know will take my mind off how I am feeling, and one of them is playing the piano. Doing this forces me to quieten my thoughts, focus on the notes on the page in front of me, and translate them both into physical movement and emotional expression. There’s something meditative about it that I just can’t quite explain. Sometimes, I’ll get the urge to play and that’s it; I can’t do anything else but run around, searching for a piano, however out of tune! Listening to music has a different effect, but it’s just as positive. It still has that same physical and emotional impact, but to me it’s far more about my emotional response. My music library has a bit of everything, from Renaissance choral pieces and a suspiciously large collection of Romantic works (Chopin is a favourite to play and listen to), to today’s more contemporary pop – via electro-swing, jazz, funk and anything else that happens to turn up in my playlists. I guess you could say that I have a piece of music for all occasions, and my emotions are almost always reflected in what I’m listening to. I’ve found that music has become a coping mechanism and a way of healing myself. The good news is I don’t think I’m alone in this, as recent scientific studies suggest that a human’s natural response to music that they find pleasurable, has a variety of both positive emotional and physical effects – including a release in dopamine (a neurotransmitter that controls the brain’s reward and pleasure centres). Similarly, research has shown that music has an impact on reducing stress, enhancing comfort and relaxation, and can even influence our effectiveness at work. So maybe listening to music isn’t just about our enjoyment of melodies, rhythms and tempos – it has a far deeper impact than we might think. I for one can say that my daily commute is all the more enjoyable because of it. In fact, I’m not quite sure where I’d be without it. A couple of months ago I had been “bingeing” on bad news. On a whim, I changed radio station in my car from Radio 4 to 3 and was rewarded with the St Trinians theme. My mood immediately changed as I remembered watching the films as a child with my family and loving Alistair Sim’s headmistress. The music itself is so daft and yet strangely musical. Five minutes later I arrived at the train station ready to face the day. I challenge anyone to listen it and not have at least a smile.